It seems that whenever a terrorist attack takes place, certain segments try to blame everyone and everything except the person or persons who actually committed the attack. The recent slaughter of over 80 people in Nice, France, is no different. According to Roshan Salih, the editor of the British Muslim website 5Pillars, the French are to blame for what happened earlier in the week, the Daily Caller reported. At least 84 people were killed in the attack, including two Americans. Over 200 others were injured. Once again, we see the effort to minimize the damage by blaming the victims, not the terrorist. 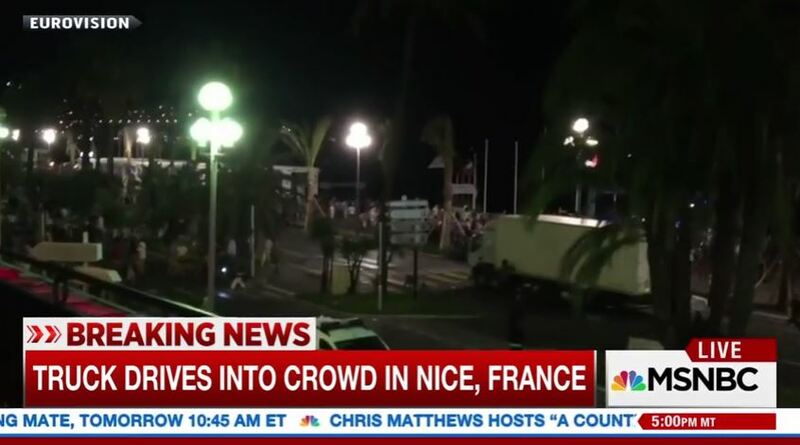 It seems that the attacker got radicalized very rapidly,” French Interior Minister Bernard Cazeneuve said Saturday about Mohamed Lahouaiej Bouhlel, the man police say drove a truck through a crowd in Nice, killing 84 people. Cazeneuve reiterated that the attacker had not been known to the intelligence services previously. The interior minister also noted authorities now face a new scenario with individuals who are becoming very sensitive to the messages of ISIS. An ISIS “soldier” carried out the attack in Nice, France, this week that left 84 people dead, the group said in a statement via its media group. So it wasn’t the French, it wasn’t the Tea Party, the NRA or the truck itself — it was a terrorist attack carried out by a (brace yourself) terrorist. Previous articleTurkey’s Erdogan, Brotherhood Mafia “Made Man”, In (Coup) Cross Hairs: What’s Going On?